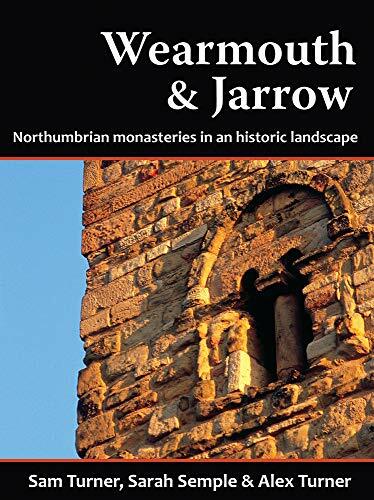 Presenting the results of new research on the monasteries of Wearmouth and Jarrow—among the most sophisticated centers of learning and artistic culture in 7th- and 8th-century Europe, and the home of Bede—and their churches, this study examines the long-lasting effect of their buildings and estates on the surrounding region from the Anglo-Saxon period to the present day. The authors trace these relationships through time with new studies of the changing landscape, the monastery precincts, and the surviving structures themselves, detailing how the historical archaeology of the sites reveals how the churches and their communities were rooted in the landscapes of Northumbria but flourished through their links with other parts of Britain and Europe. Researchers from many different backgrounds contributed to the project, using aerial, geophysical, geoarchaeological, and palaeoenvironmental surveys and digital mapping to examine the monasteries and surrounding lands. This book reveals not only the link between the churches and the region’s political and economic history, but also demonstrates how their cultural significance for local people in northeast England has changed over time. Sam Turner is a professor of archaeology in the school of history, classics, and archaeology at Newcastle University in England. He researches the historic landscapes and early medieval architecture of Britain, Europe, and the Mediterranean. Sarah Semple is a reader in archaeology in the department of archaeology at Durham University in England. Her work focuses on religion and belief in early medieval Europe, with particular reference to the role of landscapes and the ideological use of ancient remains. Alex Turner is a research associate in archaeology in the school of history, classics, and archaeology at Newcastle University. He has more than 30 years of experience in archaeological survey, with a particular focus on the development of a holistic method using techniques such as GIS, laser scanning, and geophysical prospection to enable better understanding of historic buildings.